Sacramento, California – September 15, 2015 – The inaugural cohort of Governor Jerry Brown’s Initiative AmeriCorps program, CivicSpark, graduated yesterday. 35 CivicSpark fellows provided over 60,000 hours of service to California’s communities, helping 88 local governments build capacity to address and respond to climate change. “CivicSpark members have dedicated almost a year to helping communities address air pollution, extreme heat, water threats and rising energy and transportation costs,” said Kate Meis, Executive Director of the Local Government Commission. “Individually they have made lasting contributions in the communities they’ve served— from developing programs to help businesses and residents reduce energy use, to increasing use of public transit— collectively these young leaders have made a significant statewide impact”. Throughout the 11-month service year, the fellows supported a wide range of climate actions including the development of 8 climate or energy action plans, 17 climate action policies and 10 vulnerability assessments; the conduction of 8 greenhouse gas inventories and 4 benchmark analyses for cities; the organization of 12 community workshops; and engaged over 1,000 community members, including residents, business owners, and the general public. The graduation brought together fellows from each region that CivicSpark serves—Sacramento, San Francisco Bay Area, Los Angeles, San Diego, Sierra Nevada, North Coast, Central Coast, San Joaquin Valley, and Inland Empire—as well as regional coordinators, regional partners, and program staff and partners to celebrate the fellows’ achievements throughout the 2014-15 service year. 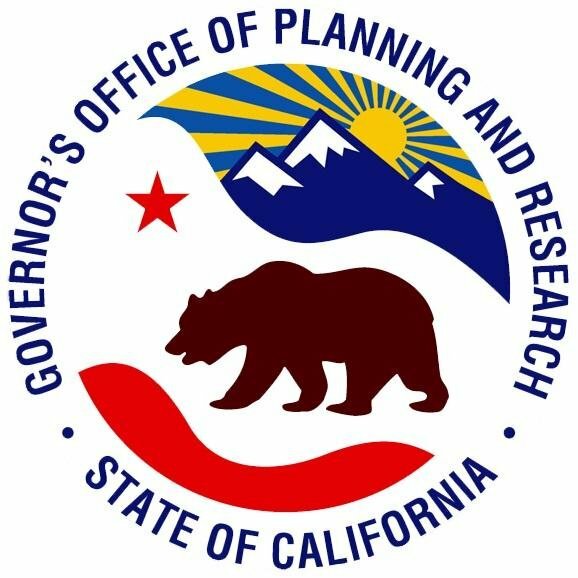 CivicSpark, administered by the Local Government Commission in partnership with the Governor’s Office of Planning and Research, provides the next generation of climate leaders with an opportunity to gain professional experience, build important skills and create a meaningful and lasting impact. CivicSpark fellows work on projects that provide local governments with the support they need in their climate and sustainability initiatives. Each year, 48 CivicSpark fellows, organized in regional teams, work with a range of local and regional project partners such as cities, counties, regional agencies, school districts, MPOs and NGOs, helping them implement local climate-smart projects, such as greenhouse gas inventories, complete streets plans and water-conservation campaigns. By executing targeted research, planning, or implementation projects, supporting volunteer engagement and providing valuable regional and state resources, CivicSpark provides the support needed to develop new programs, enhance staff skills and expertise, and engage stakeholders in order to respond to climate change quickly, effectively and equitably. Thank you to Ascent Environmental, Sacramento Area Council of Governments and Sacramento Metropolitan Air Quality Management District for sponsoring the event. The Local Government Commission (LGC) is a nonprofit organization fostering innovation in environmental sustainability, economic prosperity, and social equity by supporting local government policies and projects. The LGC is CivicSpark’s overall program manager, providing statewide program infrastructure and overall fellow and local government support, coordinating training, and ensuring that performance goals are met.